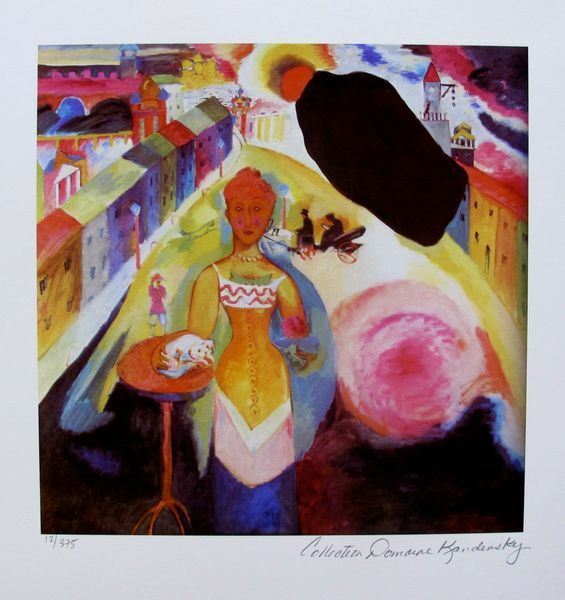 This is a Wassily Kandinsky (ESTATE COLLECTION DOMAINE) limited edition giclee titled “COUPLE RIDING”. This is a Wassily Kandinsky (ESTATE COLLECTION DOMAINE) limited edition giclee titled “COUPLE RIDING”.This piece is pencil signed on the lower right as ‘Collection Domaine Kandinsky’ and has an embossed seal stamped by the Estate Domaine. Pencil numbered from an edition of 375. Paper measures 18.5″ x 17″. Image measures 16″ x 15″. Made on thick quality archival paper. In excellent condition, comes unframed. 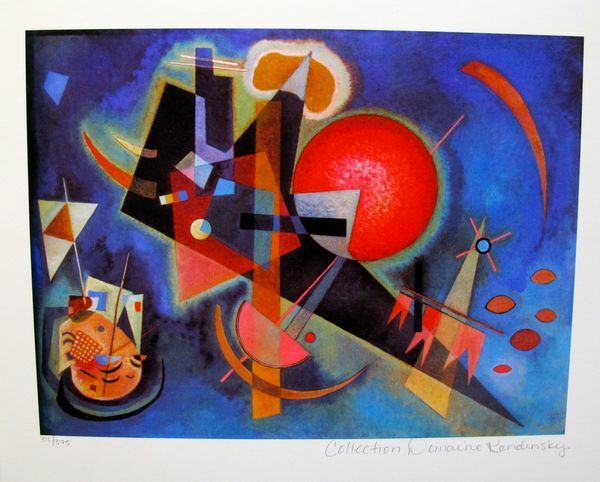 Comes with a certificate from the Kandinsky Domaine Collection. Often called the “Father of Abstract Art,” Kandinsky trained as a lawyer in his native Russia, but discovered his true calling was in art. 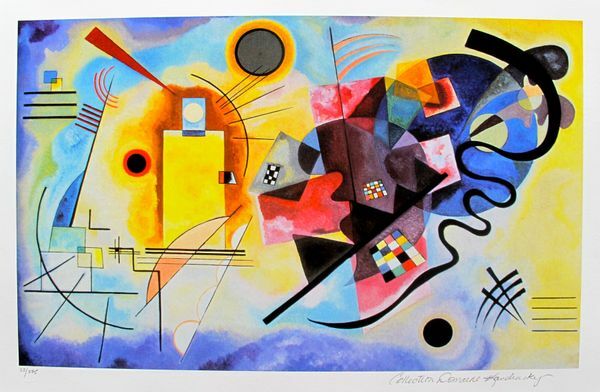 He and his wife moved to Germany, where he studied art while Mrs. Kandinsky filed for divorce. He went on to found the group Der Blaue Reiter and taught at the Bauhaus, always writing prolifically on the connections between art, music and spirituality (and found time to marry again). Much of his work was destroyed, as “degenerate,” by the Nazi party. 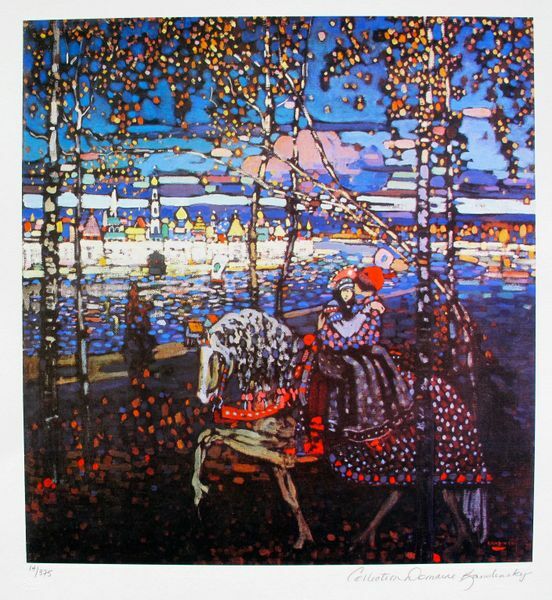 Be the first to review “Wassily Kandinsky COUPLE RIDING Estate Signed Limited Edition Giclee” Click here to cancel reply.